The D-Link AC5300 Ultra WiFi Router DIR-895L/R was the first router on the market that can provide 5,300Mbps the full bandwidth of WiFi. This is a tri-band router, which means that it has three different bands of WiFi. 2.4 GHz band provides up to two 1,000Mbps and 5GHz bands simultaneously capable of delivering up to each 2,165Mbps. In addition to enhanced wireless connectivity, DIR-895L/R is equip with four Gigabit WAN and Gigabit LAN ports for connecting computers, Blu-ray players, game consoles directly to your router using an Ethernet cable. You can also choose how to utilize the two USB ports built into the unit. At the office, we plugged a 5TB USB 3.0 external hard drive to the router. Rather then spending $450 for a comparable NAS server, this setup only cost $130 and allowed the whole team to work from a shared drive. The second USB ports can also be used to connect devices such as printers and other USB-compatible peripherals to the network. 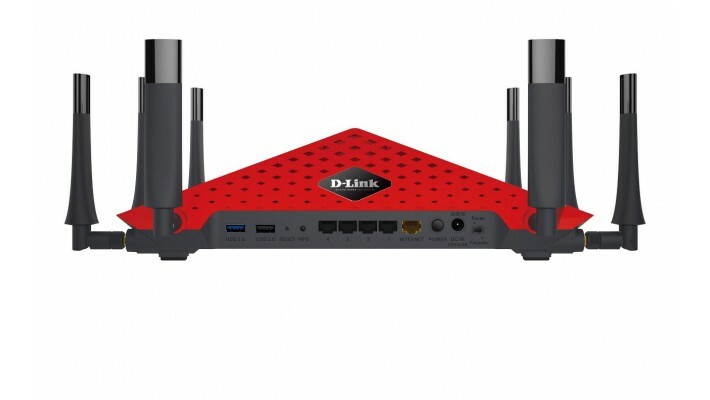 Once installed, this router D-Link offered a variety of features greatly improving the online experience. It uses MU-MIMO (multi-user, multiple-input multiple-output) to provide a direct link between devices and offer a more stable and reliable connection. The integrated QoS feature simplifies the network traffic prioritization process (Quality of Service) advantage. We chose WPA2 Enterprise for our wireless encryption but the router also supports WEP and WPA. The router also supports quick device setup through WPS. DIR-895L/R router provides a tri-band progress with a stunning combination of WiFi speeds. By using 4×4 data streams with beamforming and MU-MIMO, network reliability and scope improved. The whole family or business can enjoy streaming 4K and games on the multiple devices without any delay. 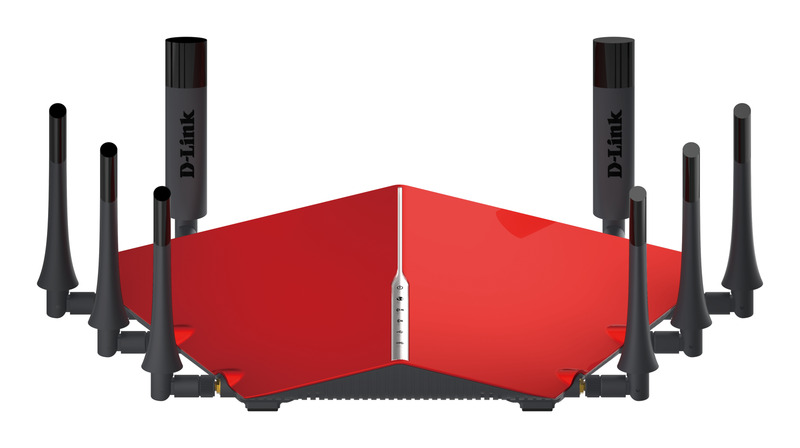 With smartphones becoming more accessible then computers, D-LINK released a mobile app to help administer this AC5300 router. Parents have the power to block unwanted devices, monitor Internet activity, filter traffic, and remotely control the more popular functions of the router. Without a doubt, the D-Link AC5300 Ultra WiFi Router DIR-895L/R is also one of the most stylish and futuristic looking routers currently in the market. We feel this router is a niche market as new units are currently priced at $369.99. 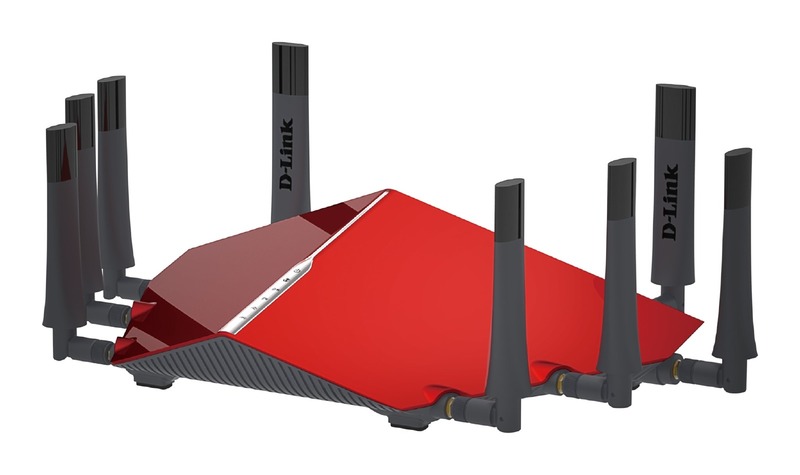 The casual gamer/streamer probably won’t utilize most of the functions to its potential and would probably be just as happy with the D-Link AC3200 DIR-895L/R Ultra WiFi Router. But if you’re a Twitch partner, often need to transfer 4K videos, or need the fastest possible throughput for your business, then this D-Link AC5300 Ultra WiFi Router DIR-895L/R will not disappoint. It is the fastest router we have tested to date.